What are Get Fruity bars? Get Fruity bars are 100% natural bars made from a combination of fruit, oats and virgin coconut oil. Created in 2013 by Cornish mum of 2, Davina, they aim to be a fruit snack bar that is exactly what a fruit snack bar should be; nutritious, moist and packed full of flavour. 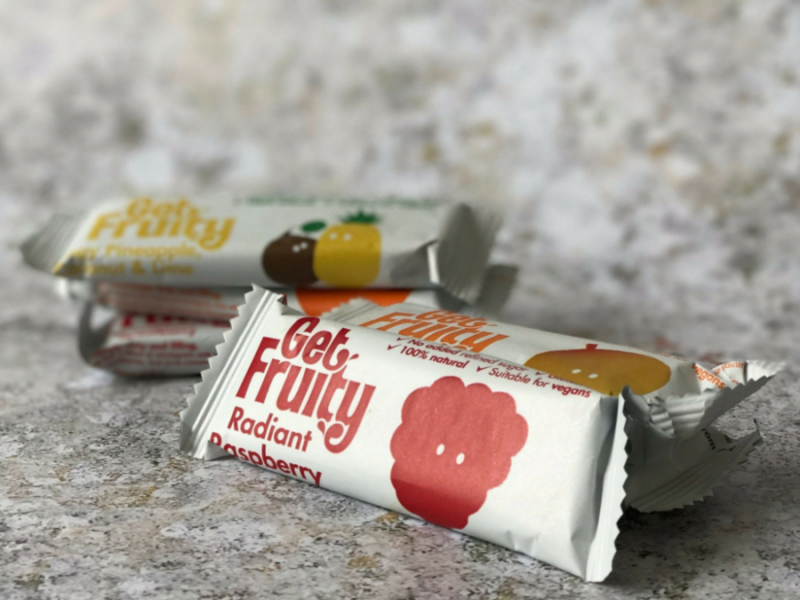 Coming in six different flavours; Scrumptious Strawberry, Moist Mixed Berry, Juicy Apricot, Orange & Ginger, Tangy Pineapple, Coconut & Lime, Radiant Raspberry and Marvellous Mango, the Get Fruity bars really do have a flavour to suit most taste buds. Not only are they gluten free, dairy free and vegan certified, they also contain absolutely no refined sugars. The gluten free oats provide plenty of fibre, vitamin B, antioxidants and protein helping reassure me that I’m giving a snack that’s going to give my son plenty of nutrition, something that’s important when he insists on following a diet that’s 90% yoghurt the rest of the time! Additionally the bars use virgin coconut oil; a natural sweetener that’s being toted worldwide currently as the latest superfood due to it’s beneficial properties. What does that mean for me? It means on paper they’re perfect for my little one. They’ve even won awards, the Moist Mixed Berry Get Fruity bar picked up a winner’s title in the Free From Food Awards in 2015. I’m always a little cautious when it comes to testing new foods with my son. His eating is hugely dependent on the time of day, his mood, tiredness levels, the phase of the moon… it seems to change from day to day, meaning finding something he’ll eat is almost always hit and miss. With that in mind, we actually tried these bars ourselves first, completely forgetting him in the process. Easily done when it comes to food. I’d read the descriptions and found myself fancying them more and more, especially the Tangy Pineapple, Coconut and Lime bar… doesn’t that sound delicious?! I’ll admit that I wasn’t holding out much hope when it came to taste though, let’s face it, when you hear gluten free, dairy free, vegan friendly with no refined sugar, you have to ask whether they’re also flavour free. Thankfully, I was wrong. The bars genuinely are packed full of flavour and bursting with fruit. As with all natural bars, there’s a dense texture to them that can take some adjustment but the taste quickly wins out. They even passed the husband test who declared them delicious. Praise indeed. Aware that we’d eaten far too many ourselves, we gave the Get Fruity bars the ultimate taste test. The baby. Here’s where they came in to their own, he loves them! For a child who seems to hate eating at home, he quickly tucked away an entire bar, even cracking out his ‘more’ sign for the first time… success!! Since then we’ve taken them with us for days out as a treat/distraction whilst we’re shopping and he’s polished them off in record time, time after time. I think we’ll take that as a sign of approval, or in sing and sign terms… a big thumbs up! 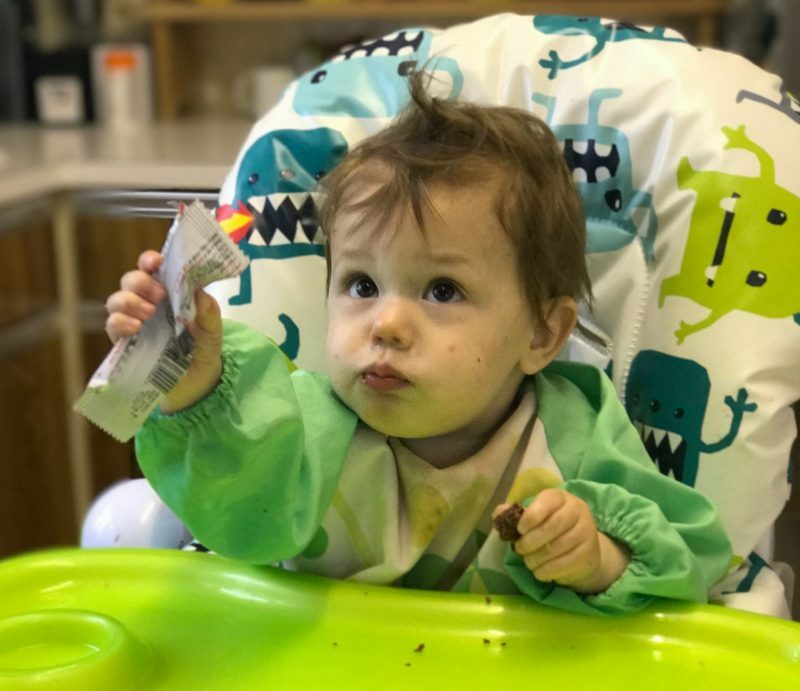 When it comes to snacks for your child, it’s hard to find something that gets the balance right between pleasing you and pleasing them. 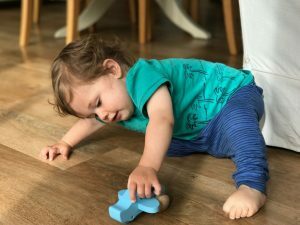 I genuinely think we’ve found a treat that I’m happy with as a parent; it’s healthy, nutritious and he’s still getting to try new tastes, flavours and textures. 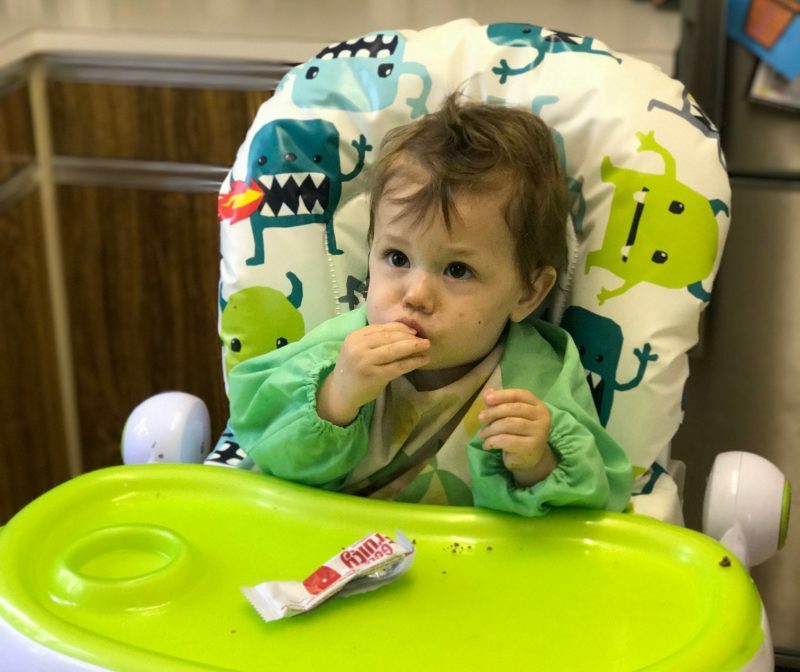 The bars are just the right size to provide a filling snack even for adults (we’ve tested this for you, you’re welcome) and they travel well in lunch boxes for snacks on the go. At £2.49 for a pack of four, or £15 for a pack of 25, they’re actually one of the more affordable natural snack bars on the market. Especially when you consider the price of other ‘free from’ foods and fruity snacks aimed at children. 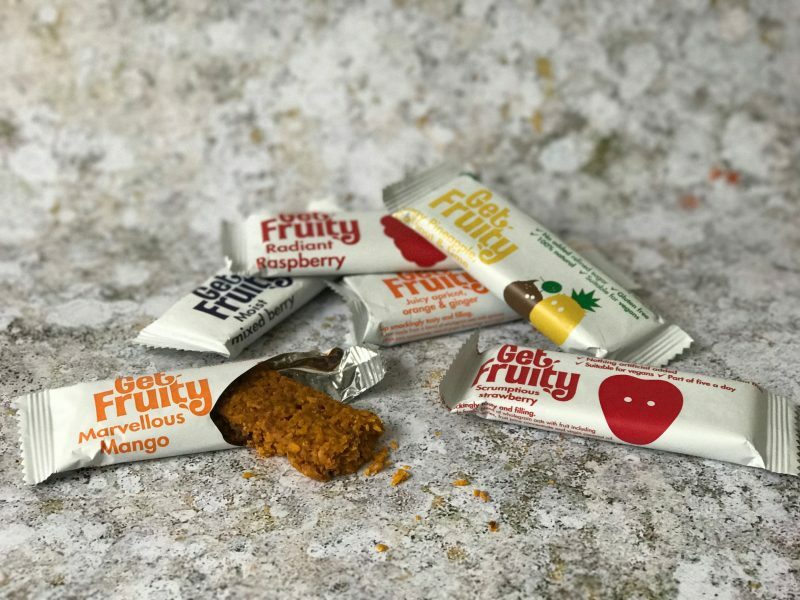 Get Fruity bars are available to purchase from Ocado, Waitrose, Tesco, Co-op, Amazon or directly via the Get Fruity website. For more information on ingredients or to hear more about the Get Fruity story, please visit their site. These look super yummy and an indeal snack for Dex to take to his nanna’s while I’m at work. Thanks for the review, I probably would never have heard of them otherwise!! Oh, my favourite flavour would have to be Marvellous Mango! I’d not heard of them either, but they’re a big hit in our household! Good choice on Marvellous Mango! Mine too apparently! Nice to find something healthy that passes their approval! Definitely would try the strawberry! I love these sorts of things for snacks for Piglet – not tried this brand though. 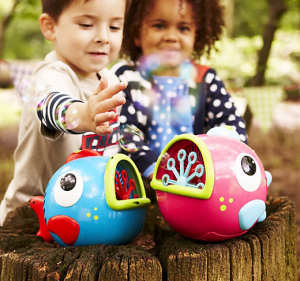 What a great giveaway – fingers crossed we win!! I’m most looking forward to trying Radiant Raspberry. I haven’t tried the moist mixed berry yet so would like to try that next. It would be a difficult choice between the Orange and Ginger and Marvelous Mango! It’s delicious – good choice!! I’m most looking forward to trying Coconut & Lime. 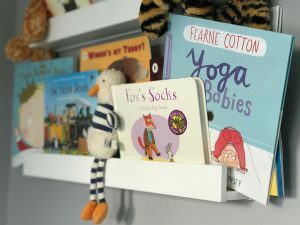 They’re lovely – you can see why they’ve won awards! I would love to try the Radiant Raspberry first. They really are! Nice to find a snack that you don’t have to feel guilty about! Orange and ginger sounds a bit different, I would try that first. The mango flavour sounds great! Tangy pineapple, coconut & lime sounds lovely and it’s not your usual flavour combo for these kind of bars. Will seek them out in the shops. It reminds me of holidays on tropical beaches! Sounds like a cocktail you might be drinking on one of those beaches! The Marvellous Mango sounds delicious ! Radiant Raspberry – I love Raspberries! I’d like to try the Marvelous Mango but the kids will probably get there before me! They didn’t last long here either! I’d love to try Moist Mixed Berry but they all sound fab. I would like to try the radiant raspberry first. All of them! I’m really on the lookout for some healthy alternatives. Strawberry would probably be my first pick! The Mango one sounds lovely! Moist Mixed Berry sounds like it would be my favourite! Coconut & Lime sounds fab! Love the sound of the Radiant Raspberry the most! I love raspberry flavoured bars, these are great! Perfect for my little granddaughter. Radiant Raspberry sounds difficult to resist. We ended up having to share all of ours, half for the baby, half for me! I would love to try the strawberry first. Thanks for the competition. Good choice, they’re rather delicious! I would try Marvellous Mango first. Yummy! Good choice, my son loves that one! Definitely looking forward to the raspberry variety! Mixed Berry sounds really nice! They look yummy, love the sound of Radiant Raspberry. Coconut and lime, sounds different. Coconut and Lime sounds particularly yummy to me. The Tangy Pineapple flavour sounds nice, I’d like to try that. The mixed berry sounds delish! coconut and lime! something different to the usual flavours! I love the sound of all of them. I wish somebody would invent a rhubarb bar, but I think the radiant raspberry flavour may be the first I’d plump for! Ha! It’s good to stick to your guns!! I love raspberry things too – good choice! It’s good to find a bar which is both vegan and gluten-free. I would like to try any of the flavours but particularly like the sound of the mango bar. get some bad boys in my tummy!! Extra points for the rhyming, good luck!! The coconut & lime, I think that would be really fresh! I like that it’s different to what you’d normally expect! I like the sound of the Mango. Thanks for the review, haven’t come across these yet, my children like Mango so would be good to try those! I absolutely adore the sound of the Marvellous Mango! We’d try the raspberry first! What a great giveaway – lovely. Ohhh, I love it when I find other’s that have tried these! Good luck! Ooh definitely looking forward to trying the mixed berry bars first! 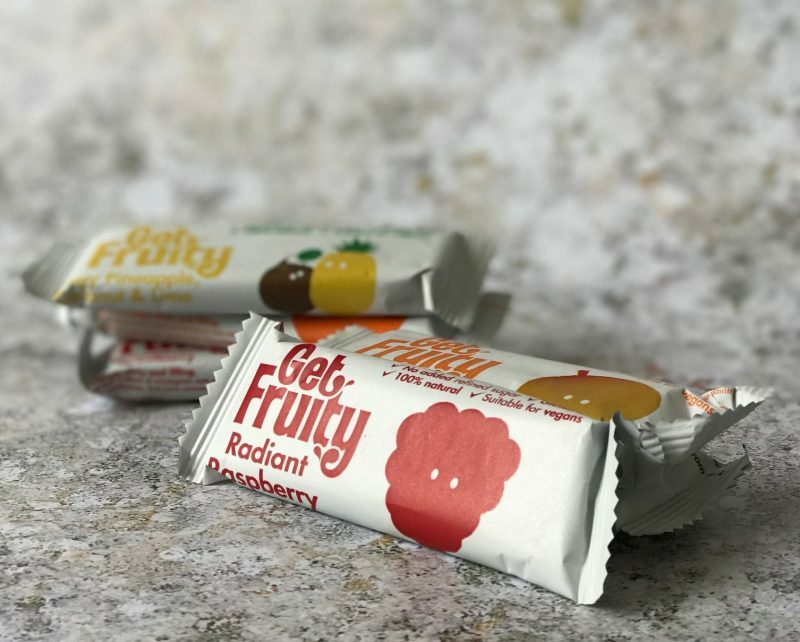 My kids love healthy snack bars but we haven’t tried Get Fruity bars yet. They sound yummy! I have tried them all! My favourite is mango, then the coconut and then the berry! The others I like but not as much! The marvellous mango sounds really nice and not something you usually get in a snack bar. They all sound really good, but Scrumptious Strawberry would win for me, thanks. They all sound delicious but I think I would love the scrumptious strawberry flavour! The raspberry one sounds fab! Great choice, I loved the mixed berry! apricot, orange and ginger sounds amazing!